Our NYC friends Streetlab which we wrote about in a Mailbag post way back in 08' here have been busy bee's this year. First releasing their debut album of original material titled "Auto. Spkr." on iTunes and now they're getting ready to release Vol #2 of their famous bootleg remix series. 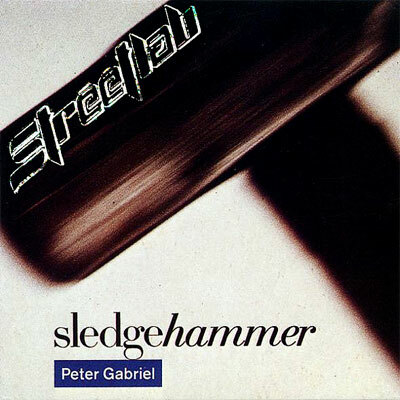 The first promotional track their releasing for the bootleg series is Peter Gabriel's 80's classic "Sledgehammer". As all the stuff I hear from this duo it's a solid affair and always dance floor friendly. They also sent along an original track from their debut album called "Take Care" feat vocals from their go to girl Noelle. Pretty sweet electro pop number! These guys definitely have an ear for good music. You can preview the rest of the album on their site here. In addition we also got sent via a separate email a Teen Remix for Streetlab's track "Rat Racer" so I figured I'd post that on here as well. The original is more electro-pop, but this remix is catered more for the clubs with grooving/bumping beats. Should work nicely there. With no further ado here are all those mp3's in full 320 kbps for your collection. Enjoy and have a great week-end! !